Good news, SHL only counts your correct answers. No penalties are given for wrong answers. This statement reigns true in most SHL tests unless otherwise told on the specific test. Since most of SHL tests are comprised of multiple-choice questions, this is quite beneficial to you. It’s important to not leave any question unanswered. If you don’t know the answer, guess! How are SHL Scores Interpreted? The rate of your correct answers is compared to the average achievement of a norm group. The most relevant norm group is chosen by the employer from several options offered by SHL. Your score is then transformed into a percentile. This will inform the employer where you rank in the norm group. For example, if you are in the 75th percentile, it means you scored higher than 75% of the people in the norm group. Your absolute score does not matter. Since you are compared to people with similar educational backgrounds, you should practise as much as you can to gain an advantage. What is a SHL Norm Group? SHL results are collected from thousands of test takers. This data is divided into norm groups so employers can compare a candidate's results to relevant people in the job seeking market. These groups are defined according to two factors: industry and job level. Below are a few examples. Taking an industry-relevant test will likely require a high score. For example, a candidate who is applying for a lawyer position and takes an SHL verbal reasoning test must score significantly on verbal reasoning as it is relevant to him compared to someone who is working finance. How are SHL Scores Reported? 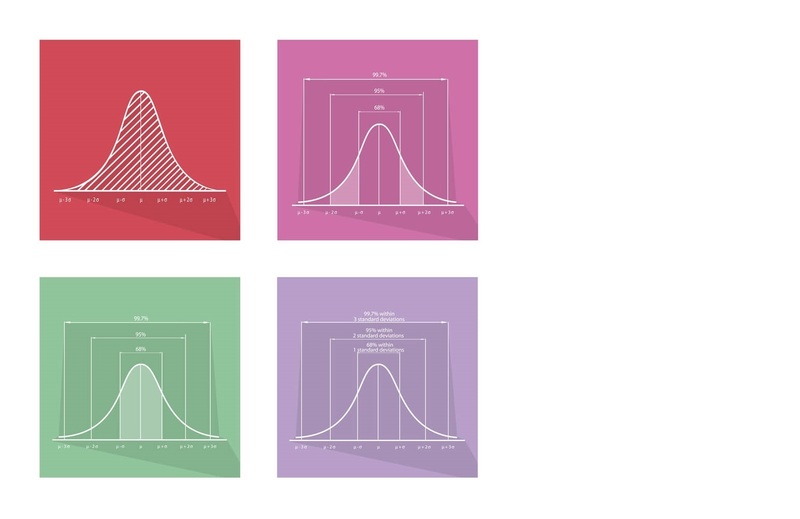 On the normal distribution graph, the 50th percentile represents both the mean and median scores. Note that these scores differ between test and norm groups. Therefore, the absolute score cannot be displayed on this graph. However, different sections of the bell curve relay various score groups in relation to the mean score. Obtaining an SHL report is extremely important for your future SHL assessments. This especially rings true if you failed the current assessment. The report will provide you information about your achievements and give you a general idea of your normed scores. Furthermore, with this knowledge, you can more easily know where to focus future practice to strength your weak points. What is the SHL Pass Score? There is no general answer to this question. Pass marks and average scores change depending on the norm group and requirements of each employer. From our personal experience, we can safely conclude that by being in the top 20% of your norm group you should be able to pass your test. Thus, in order to obtain the job, you must prepare beforehand. If you do not aim for at least a B average, you will likely be cut from the candidate list. SHL test results are normalised, i.e. your score is compared to other candidates in your industry and entry-level. Therefore, practising beforehand will allow you to stand out from your norm group and increase your chances of obtaining the job. Remember, there is no way to tell exactly what score is required to pass. Nevertheless, information about the job level, industry and specific employer may provide you with a better clue regarding the level of the norm group and the amount of practice needed to ensure a good overall SHL test result. Below are a few commonly asked questions that may help you during your journey to employment. Good luck! Q: I don’t know the answer to a test question. What should I do? A: There is no penalty for answer incorrectly on SHL tests. Thus, unless otherwise told, if you are unsure about an answer, the best policy is to guess. Q: What score needed to pass SHL tests? A: The pass mark differs between the position, entry-level and company. However, we can safely say that by aiming for the top 20% of the candidates will often allow you to pass the test. Q: How can I improve my chances to pass SHL tests? A: Since your overall test score is compared to the other candidates, you should do whatever is necessary to surpass them.